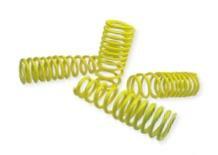 NEUSPEED Springs - Sport Lowering - Lightning Motorsports - Selling Speed since 1996 ! The perfect solution if your goal is to lower your vehicle to eliminate wheel-well gap, and improve handling without sacrificing a smooth ride. while greatly increasing overall handling performance.